Just a pretty picture of a sunflower taken in late August last year near Pangman, SK. I’ve posted this one before, but it’s one of my favourites. I enjoy photography as a hobby because it makes me look at my surroundings differently (I’ve likely written that before). I like to observe things and photography is a great way to capture not only what I see, but how I see it. This particular day was very windy, so I had to wait for a break in the wind to get the pics I wanted and when I got too impatient I just held on to the stalk to stop it from moving. 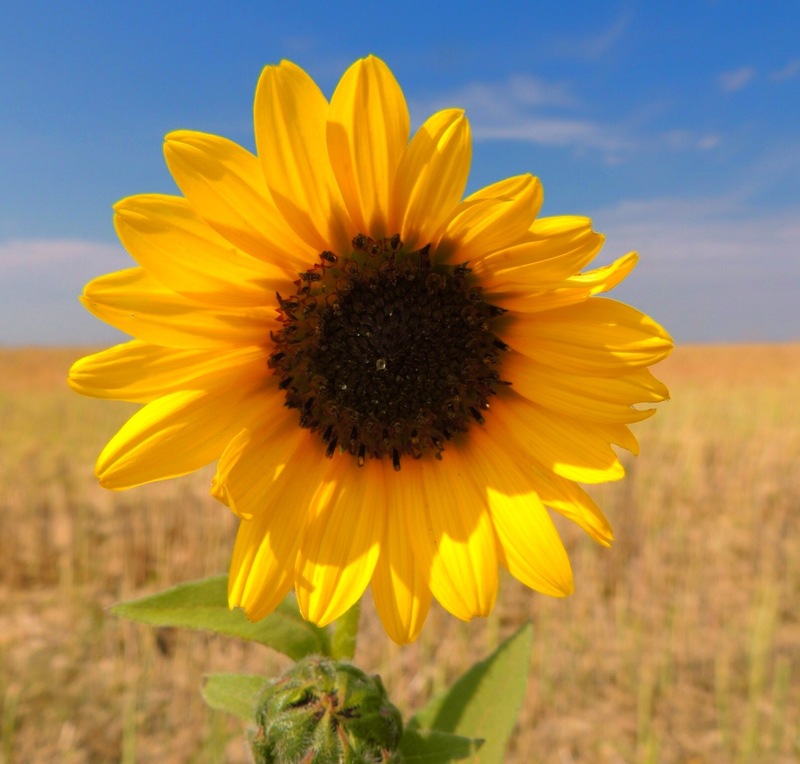 This entry was posted in Flowers, Photography, Writing and tagged fields, hobbies, photography, summer, sunflower. Bookmark the permalink.